The job, the yelling, the disposition. It’s the Supervisor all right. Sound familiar at all? 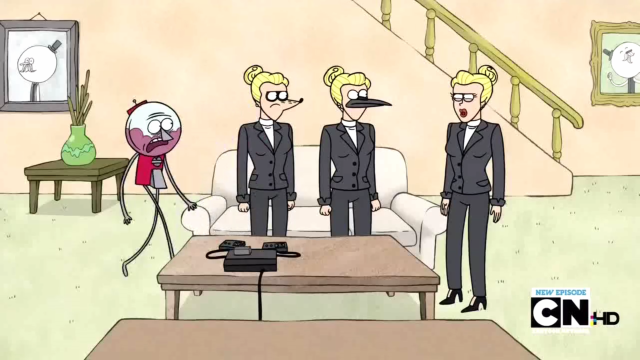 In real life, you’d most likely be Rigby (the raccoon) and your boss would be Benson. If you don’t think it sounds familiar, it’s because you are the ESTJ and don’t know how people see you. If you do relate, you’re an ESTJ and don’t see anything wrong with his reaction. Not that he can be blamed entirely, he is dealing with some pretty crazy stuff and several incompetent workers. Benson’s second function, Introverted Sensing, is what makes his Te feel so obliged to scream at his employees when they’re not doing a good job. Si is comparing current situations to previous, similar ones. It could be said that because Benson was raised in a certain way (the “right” way), his encounters with other people doing things the the “wrong” way, is what frustrates him to no end. It seems like people should already know what they should or shouldn’t do so for any time to be wasted is just that much more annoying. In this clip, we get a great example of not only Benson’s anger management issue, something of an ESTJ trademark, but also his Si; taking him back to his younger days when he was learning to be an adult gumball machine, which is why operates in the present day the way he does. He’s learning to not yell at Mordecai and Rigby, otherwise Pops will fire him; something that conflicts with the way he was raised. This may explain why ISTJ and ESTJ are often described as the most difficult to get along with. The way they were raised (or just are) is going eventually clash with people who don’t think the same way. On one hand, those people may just go with the flow but not to the I/ESTJ’s strict observance of how to do it…while on the other hand, the opposing type doesn’t think the I/ESTJ’s way is the right way at all, something the I/ESTJ will not let go. You do things their way, or you’re gone. Their problem is not that they don’t know how to do a certain thing, say, pertaining to their job. Quite the opposite, the ESTJ will learn every aspect of their job and do it to their best ability. Their problem is that they don’t know how to deal with others that don’t know how to do their job. While another type may call a new worker to the side and explain what the problem is and how to fix it, the ESTJ gets frustrated and writes the new employee off as an idiot. This is the ESTJ life- you know what you’re doing in your world. When others know what they’re doing in that world, there’s no problem. But when people don’t know what to do, or do it poorly, that’s a problem that makes the ESTJ’s head come close to combusting. So now you know Benson’s dilemma; to live in a world where he knows what he’s doing and wants to control it, but only few will listen. For the rest of the cast, click here. 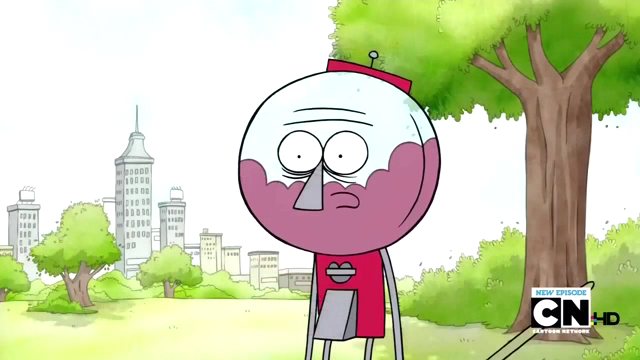 This entry was posted on 07/24/2013 at 1:52 pm and is filed under MBTI Guardians, MBTI Stuff with tags benson, estj, Fiction, mbti in fiction, regular show. You can follow any responses to this entry through the RSS 2.0 feed. You can leave a response, or trackback from your own site.